Ever since Google Panda was released last summer, everything has changed in the search engine marketing game. 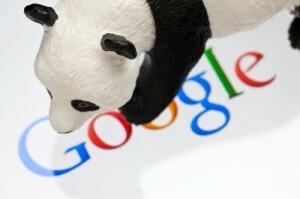 Did Google Panda kill SEO Search Engine Optimization Companies? The answer is yes and no. I will explain. The Panda updates did have major effects on many companies who use search engine marketing optimization firms. Some were lucky and some were not. Some sites actually saw improvements in their rankings but many seem to have fallen off the face of the Google Universe. The website designs that are web 2.0 ready and seo friendly fared pretty well. They have all the latest features that manual Google reviewers can sign off on. YES, there are actual people at Google who may be acting as judge, jury and executioner on your website. And NO, you can not bribe them because we don’t know who reviews what. So what are these features that the Google Algorithms love? Here is a quick list of things that we recommend to help your rankings if your site is out of date. Besides thebasic Social Media Optimization tips above, the regular rules all still apply. On Site SEO Search Engine Optimization – Things have changed, but this is still step one. If you over stuff your pages with keywords or your keyword density is just 1% too high or too low, you are shooting yourself in the foot. Have an expert analyze your site for problems with your meta tags and on site content. Now if you have an old website that is not catering to search engine marketing optimization, you probably experienced a huge drop in your rankings. You may have even fell from the first page to the fifth page or completely disappeared all together. Depending on your business, this can cost you thousands of dollars in lost sales, maybe millions. Many search engine optimization companies have lost a lot of unhappy clients due to these changes. At SEM PROS, we always manage to stay ahead of the curve by utilizing all the latest technology, researching all of Google’s updates and by plain old hard work.